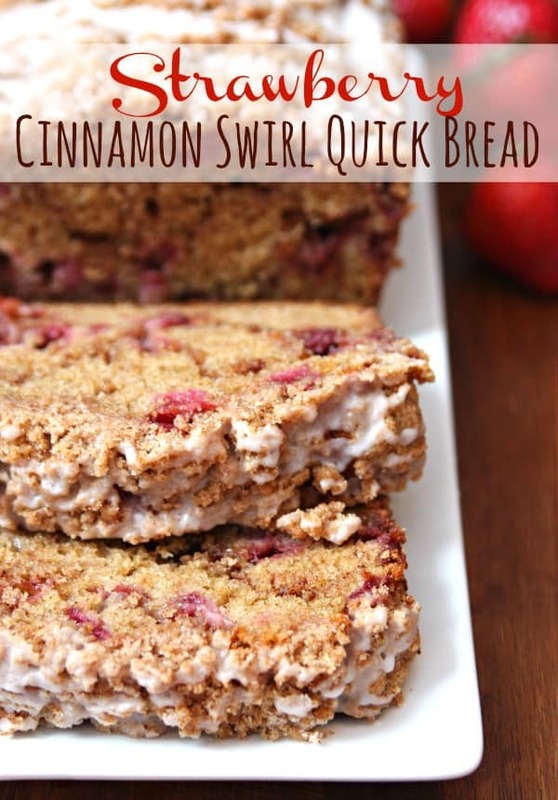 Strawberry Cinnamon Swirl Quick Bread Recipe - A delcious breakfast treat! I love an easy quick bread recipe and adding fruit always makes it so much better. This Strawberry Cinnamon Swirl Quick Bread recipe is delicious and our new favorite breakfast treat. I first made this bread in May after we went strawberry picking and I’ve made it four more times since then. That’s how much we love it. I also took it to a family brunch and everyone wanted the recipe. I meant to share the recipe weeks ago and can’t believe I forgot. If you’re looking for a quick bread recipe, you’ve come to the right place. 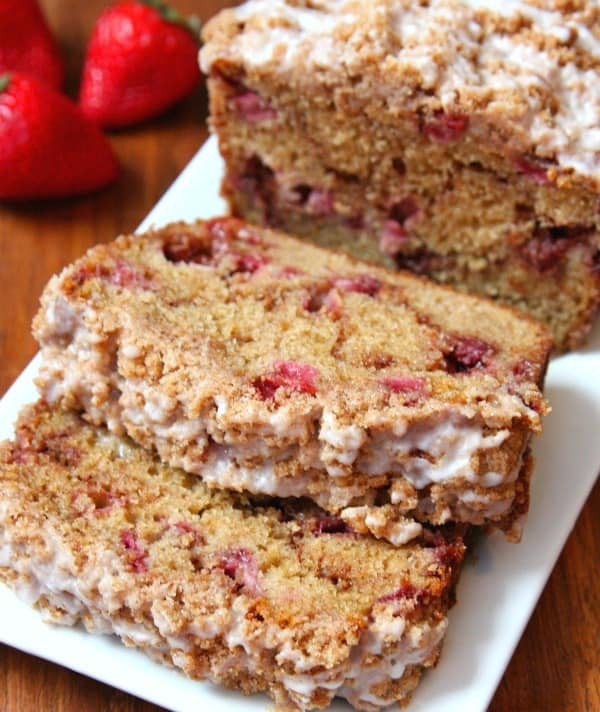 The combination of cinnamon, sugar, and strawberries is baked to perfection in this recipe. Top it with a simple glaze and this bread won’t last long – I can promise you that. You just can’t go wrong with an easy quick bread recipe. 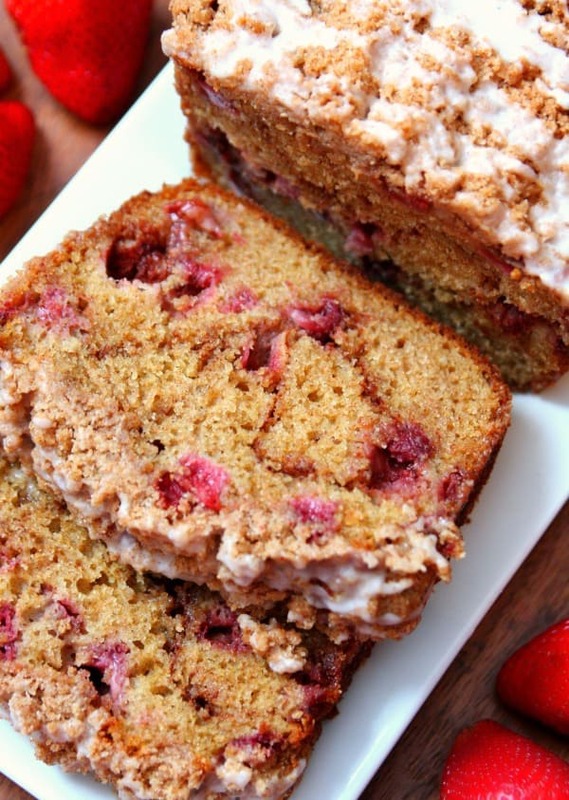 So the next time you’re craving something sweet for breakfast, pick up a package of strawberries and whip up this delicious Strawberry Cinnamon Swirl Quick Bread. It’s especially good with a warm cup of coffee. Come to think of it, it’s also a great afternoon snack and the perfect dessert. 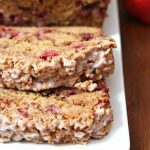 I love an easy quick bread recipe and adding fruit always makes it so much better. 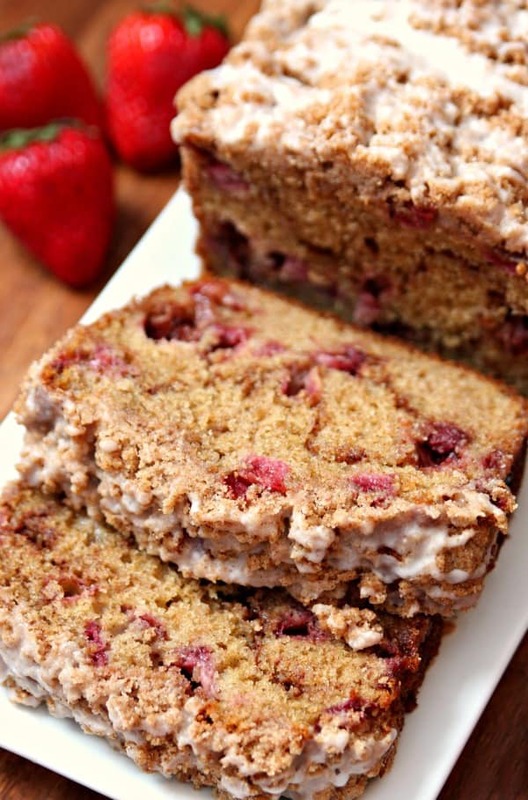 This Strawberry Cinnamon Swirl Quick Bread is delicious and our new favorite breakfast treat. Preheat oven to 350 degrees. Spray 9×5 loaf pan with cooking spray. 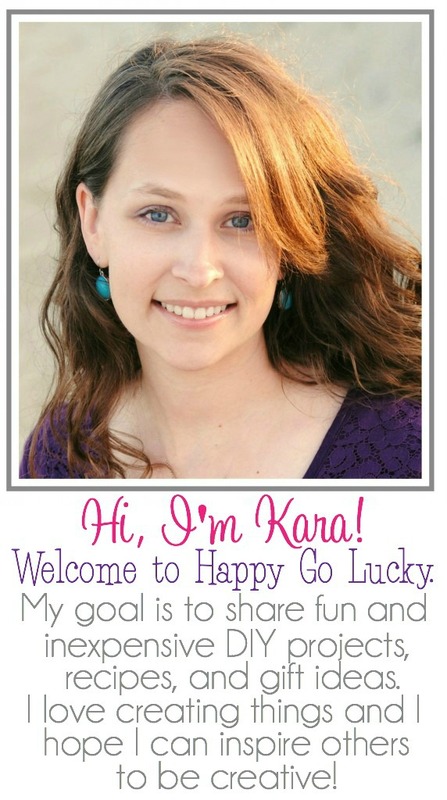 In a large mixing bowl, mix flour, sugar, baking powder, and baking soda together. Combine oil, Greek yogurt, eggs, and vanilla in separate bowl. Stir into dry ingredients just until moistened. Make the Cinnamon Swirl by mixing the 2/3 cup of sugar and cinnamon together in small bowl. Pour 1/3 of the batter into the prepared loaf pan. Sprinkle 1/2 cup of strawberries over batter. Sprinkle 1/2 of the cinnamon sugar over strawberries. Pour 1/3 of the batter over cinnamon sugar layer. Sprinkle 1/2 cup of strawberries over batter. Sprinkle the rest of the cinnamon sugar over top. Pour the remaining batter over cinnamon sugar layer. Sprinkle remaining strawberries over final layer of batter. Make crumble topping by mixing flour, sugar in small bowl. Cut in the butter using a fork until a crumble forms. Sprinkle crumble over bread batter. Bake for 60 minute or until toothpick inserted comes out clean. Whisk powdered sugar and milk together. Drizzle over cooled bread.